The drawings [NPG 1695(a-x)] were made ad vivum in the House of Lords from August to November 1820 during the course of the trial of the Queen. Index to vol.XIII of Basil Jupp's extra-illustrated RA Catalogues, pp 49-51. NPG 56th Annual Report 1912-13, pp 8-9. A rapid sketch worked up into the oil study NPG 5192. 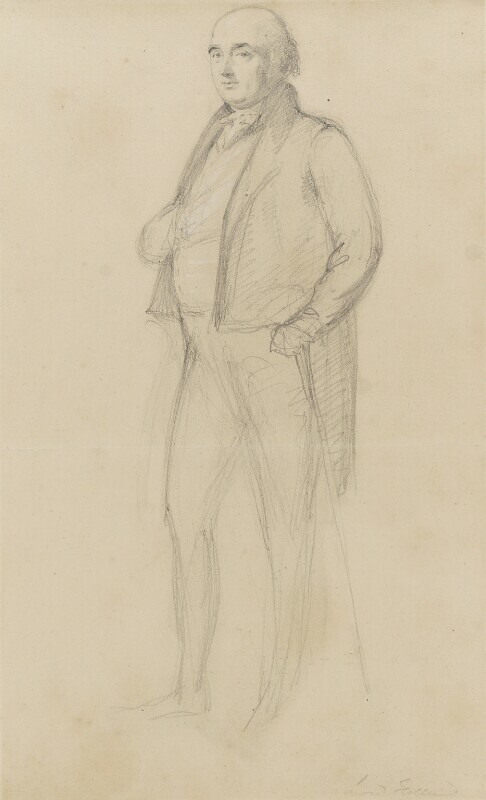 Sir George Hayter and probably his sale Christie's 19 April 1871 (349) bought Noseda; Edward Basil Jupp and bound into his set of extra-illustrated RA Catalogues, vol.XIII; Matthew B. Walker and bought from him 1913.